How do you stand out among your competition? You may sell the exact same product or services, so what differentiates you from them? If your answer is “nothing,” then you have a major problem that is most likely affecting your sales. Are you complacent with your current standing among competitors? If there are two grocery stores in town, and the other one is performing considerably better than yours, how do you react? Do you simply continue on, hoping to eventually be number one again? Or, do you create a success plan that will make your business stand out among the competitors, bring in customers, and improve profits? The first place to start is by looking at your competitor. What are they doing that you aren’t? Perhaps they offer senior citizen discounts every Tuesday. Or perhaps they offer a bag boy to carry groceries to a customer’s car. Often times, the smallest things are what draws a customer in. It may be as simple as someone to help unload your shopping cart into the car. However, for an elderly customer, this small courtesy makes all the difference. 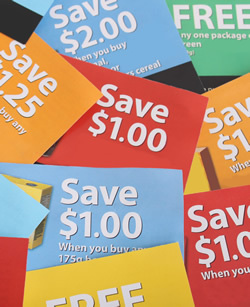 Does your competitor offer regular advertisements or coupons? If so, what types of deals and specials are you offering? Maybe you feel that a weekly flyer is useless. Yet how will your customers know what your deals are? How can they compare your specials to your competitors’ specials? You must have some type of advertisement in place for your customers to compare their options. If you don’t, they will simply go to the competitor that does offer a weekly advertisement. Or is the issue money? Is the other grocery store’s price considerably cheaper in comparison to your own? If so, how does their quality of goods compare? If you are offering a higher quality product and charging a little more, do you justify that to your customers, or do they simply think cheaper is better? Often times, customers will simply go to the place that offers the best prices. However, most customers would shop at a competitor that offers a higher quality product for a slightly escalated price. But you can’t expect the customer to research all of this information on their own. You must advertise that you offer the best product in town (if you do). Once the customer realizes that your product will last longer, taste better, provide more entertainment, etc. than the competitors’ products, they will be more than willing to pay a little more. After reevaluating your marketing and sales pitch, where can you improve? How can you go one step farther than your competition? Could you start a service in which elderly customers call in with an order and your bag boy gets it ready and brings their groceries right to their car? This would eliminate them having to enter the store in general. Or can you offer weekly coupons to subscribers of your “specials” card? Can you open more registers to make their check out process faster? The key is to determine what your competitors are doing to draw in their customers and go beyond that. You shouldn’t be content with just “satisfying” the customer. Instead, you should want to astonish them with your unbeatable service. As a customer, I have my favorite stores as well as the ones that I will avoid. Many of my personal reasons involve customer service, convenience, wait time, and money. For example, while there is a dealership 2 miles from my house, I am willing to drive over an hour away to a different dealer for a number of reasons. When a service employee asked me why, my reply was that I am willing to drive further for better and quicker service. I can guarantee that there are a lot of customers who will drive a little further or pay a little more for better service and treatment. Your customers are rating your business on its effectiveness, customer service, pricing, wait time, etc. But you’d better believe that they are also comparing all of these things with your competitors. If you want to stand out, you must develop a plan that goes beyond what your customers expect at the competitors’ stores.